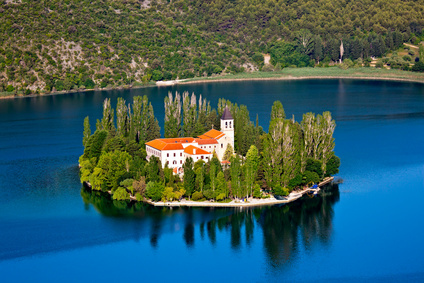 Visit Croatia Recommends If you’re looking for an organised excursion from Split, Omis or Makarska, Sunspot Tours offer small group or private tours from these coastal towns direct to Krka National Park. This highly-rated company can organise private and flexible tours for individuals, families or small groups using impeccably maintained vehicles with friendly drivers. Alternatively, you can also book yourself onto a small group tour with other travellers – these tours use small minivans, so no large and crowded tour buses here! Ultimately, Sunspot Tours can offer fully customisable tours to Krka National Park – contact them to find out what they can do for you. Do also check out our guide to getting to the park by public transport from Split, Zadar, Sibenik, Dubrovnik, Zagreb and elsewhere! As well as obviously buying tickets on arrival, tickets can now be pre-bought online on the Parks of Croatia website. For full entry to all areas of the park, tickets cost 200 Kunas for adults in July and August (120 Kunas for children aged 7 – 18); 110 Kunas during April to June and September & October (80 Kunas for children); and 30 Kunas for adults for November to March (20 Kunas for children). Children under the age of 7 have free entry throughout the year. In July and August, there is a reduced entry fee of 145 Kunas (90 Kunas for children) if entering the Park after 4pm. There is no issue purchasing tickets in person on arrival, but you may have to queue at busy times of year (i.e. peak summer). The are also cheaper tickets that only cover certain areas of the park. 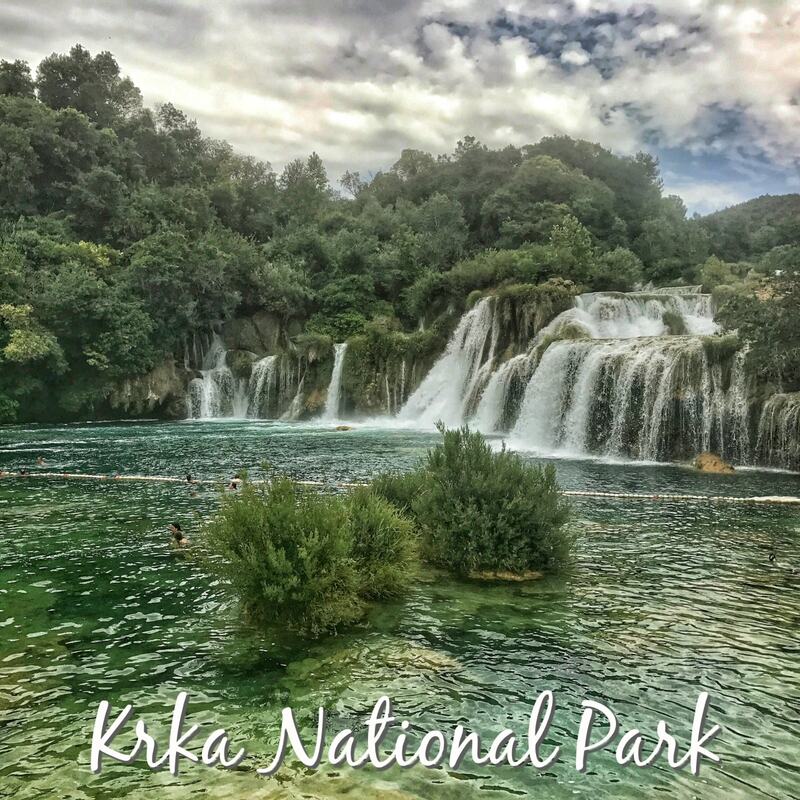 All details can be found on the Krka NP tickets page. There’s a wide variety of both flora and fauna in the Park. Over 800 species of plantlife have been identified as being present in the National Park. 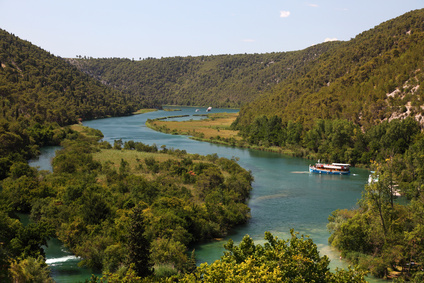 Much of the animal life lives, unsurprisingly, in and around the waters of the Krka River which is home to different amphibian and reptile creatures. You will also be able to see many different bird species (there are over 200), and possibly some of the 18 different species of bat who call the Park their home! As mentioned, the Skradinski Buk waterfalls are a collection of 17 waterfalls that range in height by over 45 metres. Undoubtedly the best way of seeing the sights of the Park is with a boat excursion – a number of these leave from Skradin. Not only will you be able to see the beauty of the Park up close (and in a relaxed manner) but these excursions include a chance to stop off and wander on footpaths along the water, as well as presentations and talks and other items of interest. If you want to stay very near to the Park, then the town of Skradin is the top (and only) choice. Hotel Skradinski Buk is located there, and you’ll also be able to find a few private accommodation possibilities too. Contact the Skradin Tourist Board for more information. For further accommodation options, it is advisable to stay in Sibenik. Krka National Park’s official website is www.npkrka.hr.